The Fabian Society is a group of intellectuals and thinkers who joined hands during the concluding quarter of the 19th century with the aim of reconstructing the society. 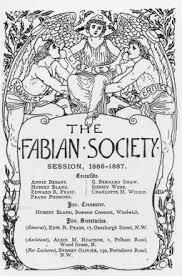 The Fabian Society was founded in 1884 with the purpose of reducing the wealth gap and providing a fair system of governance to the English society. During the final years of the 19th century, Britain was experiencing a major crisis of order. A number of concepts were circulating that aimed to construct a more reliable and powerful social system like Marxism. However, due to their poor condition, the common people of Britain had lost their faith in the current system and were not accepting capitalism, that was prevalent at the time. As a result of the unrest in the society, many intellectuals and important people of the society started to advocate a system that was not as revolutionary as Marxism but had the potential to bring gradual changes in the social condition of people. Frank Podmore suggested that the group should be named Fabian society after the Roman General Quintus Fabius Cunctator who won a war by delaying an attack. The idea was accepted by all the members and the Fabian society was founded on January 4, 1884, in London. The basic principle on which the idea of development was constructed in the Fabian Society was that of humanism. The aim of this society was to find the problems in the current social order and solve them, one at a time. The members of the Fabian Society did not believe in revolution but advocated the gradual reformation of the society through principles that were derived from a range of socialist concepts. The basic concept behind the foundation of the Fabian Society was to construct a social order in which all people are considered equal. It was a break from the widespread capitalism that was forming the core of British society at that time. Besides, their idea of equality and justice was not based on a revolution like Marxism. Due to the approach of the Fabian Society, many popular people of that time attained its membership. 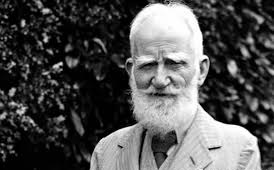 Nine months after its foundation, George Bernard Shaw joined the Fabian Society and also invited a few new members to it. Following him, a number of influential people also joined hands, which included advocates, politicians, writers, poets, philosophers, and officers. A number of middle-class intellectuals also joined them and contributed to the various ideas of social development. The Fabian Society and its members believed that in order to bring a bigger change in the social system, small steps need to be taken. As a result, the first idea that emerged from the thinking tables of the members of the Fabian Society was that of ballots. This was immediately followed by the concept of public ownership for the basic amenities that are provided by municipal bodies. 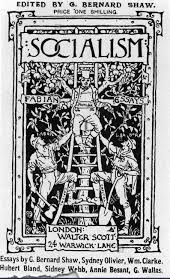 On September 5, 1884, the Fabian society launched an official declaration of their aims and objectives. It was titled A Manifesto and was penned down by G. B. Shaw, who was one of the most important members of the Fabian Society at that time. The manifesto stated that capitalism has led to an unfair division of resources in society, which primarily include land and wealth. As a result, the rich continue to get rich and the poor are unable to even get a square meal. In order to decrease this gap, the manifesto of the Fabian Society demanded that taxes should be imposed on all public ventures. The government of the country should work with common people to provide each individual with equal opportunities to get a good education, which is a basic right of all children. Besides, it demanded equal political rights for both men and women in the society in order to ensure that both the genders are able to get a fair representation in the governance of the state. Due to the practical nature of their proposals, the Fabian Society was able to bring about a number of positive changes in the society of Britain in its initial days of formation. As a result of their efforts, the Webbs accepted that poverty can be eliminated from the English society and prevented in the long run. Due to their efforts, the biggest positive impact was experienced in the field of education. In 1902, the Education Act was passed in order t ensure basic elementary education for everyone. As a consequence of this regulation, all the schools in a city came under the direct control of city councils. Besides, the principles of the Fabian Society helped to bring municipal reforms in England, as a result of which basic amenities became available to everyone. The popularity of the Fabian society continued to grow and many countries came up with their own models of the Fabian Society, which are contributing to social change even today.